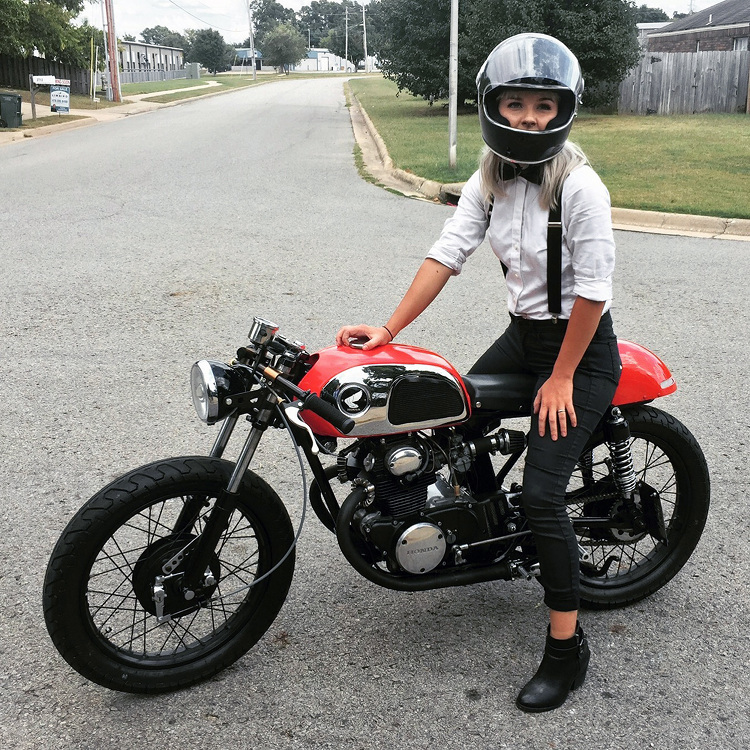 Today we are thrilled to present “Moxxi,” a 1972 Honda CB175 cafe racer built and owned by artist and designer Kat Stovall (@gutterskump) of Fayetteville, Arkansas. 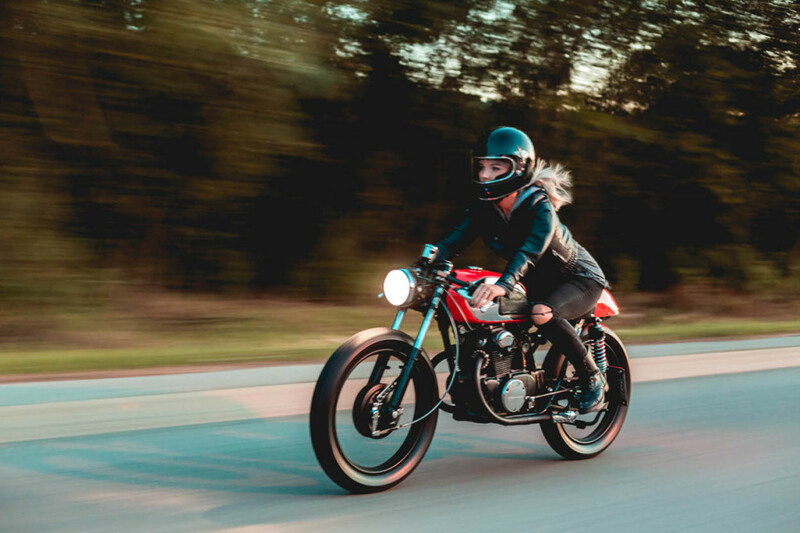 Like so many of our favorite bikes, this build was a family affair, with Kat building the machine together with her fiance’s father, Jan Sallings of JMS Customs, whose Honda CL350 has graced Bike EXIF. All told, they spent about nine months on the build. 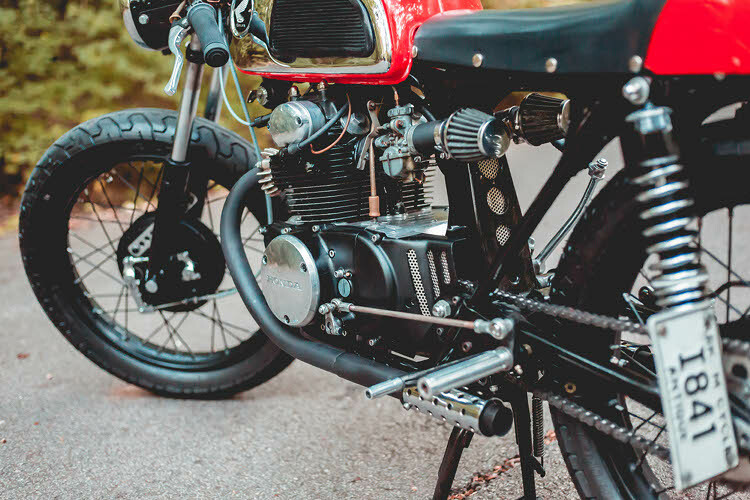 For the uninitiated, the CB175 was an air-cooled parallel twin that offered 20 horsepower and weighed just 264 pounds. 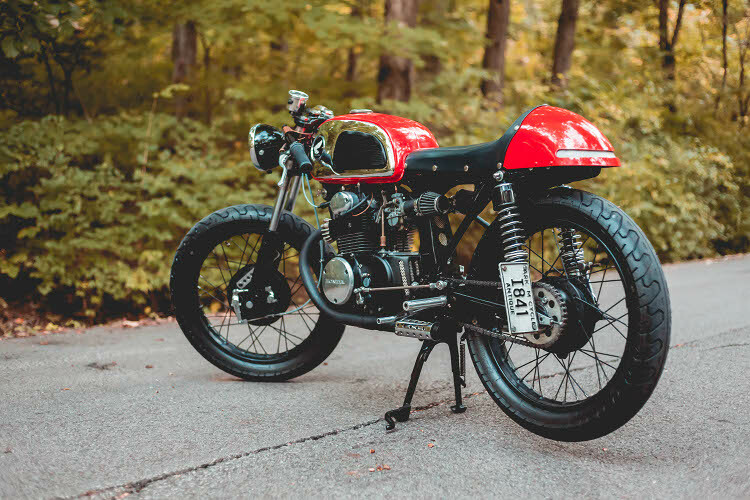 It was the first bike of many well-known motorcyclists, though you see relatively few cafe racers and customs built on the platform — just another reason this is a special build. Below, Kat gives us the full story. When I got my bike, I didn’t want to spend too much time customizing it. I just wanted to ride. But, being engaged to a Sallings will quickly change that mindset. 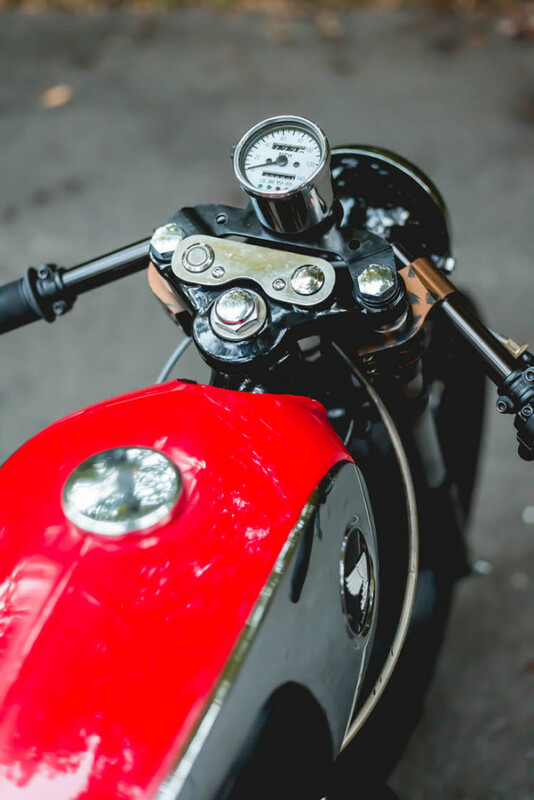 My fiancé’s dad, Jan Sallings of JMS Customs, builds beautiful custom motorcycles. 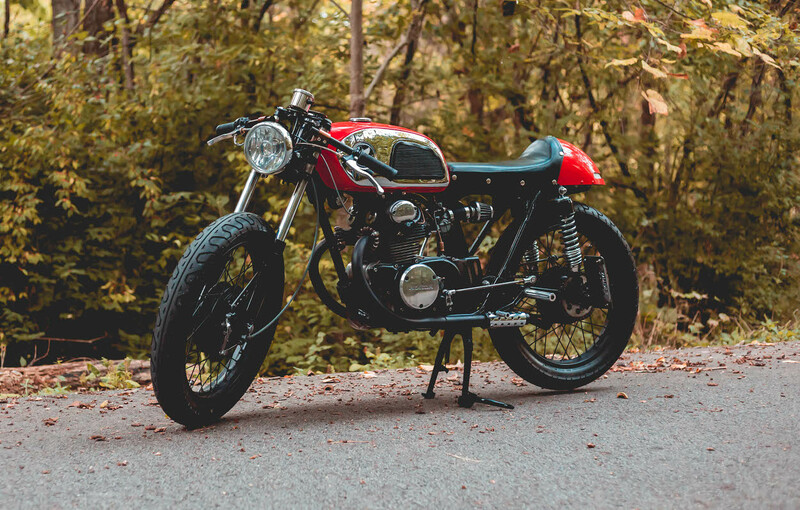 So, when my bike suffered a broken piston ring in April 2015, I decided to finally give it a full makeover with his help. I spent the next nine months building my bike with Jan. I knew virtually nothing about motorcycles before this experience. I had a specific idea of what I wanted my bike to look like, but I didn’t know how to get there. Thankfully Jan was there to teach and guide me the whole way. With his help, I was able to do something I never imagined myself to be capable of doing. 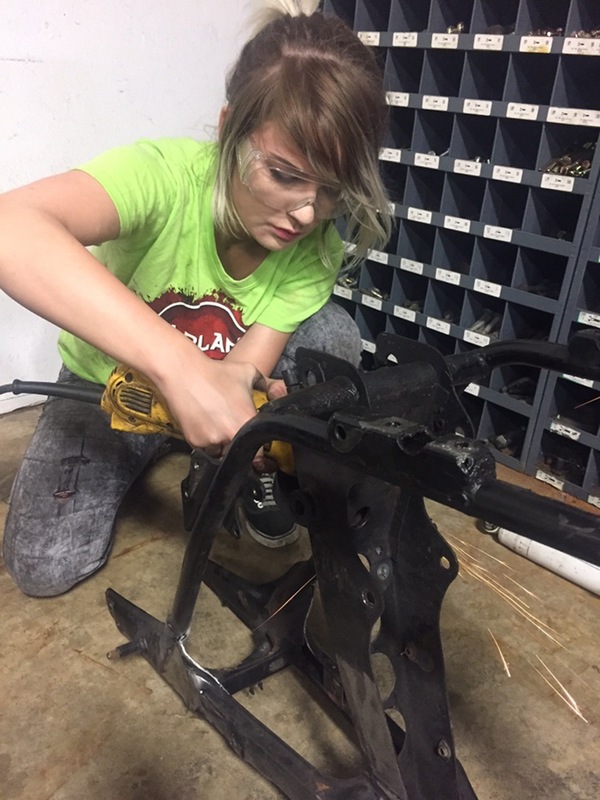 Motorcycles have since become an integral part of my life, whether it’s building, fixing, or riding them. Hi – Looks great. I’ve built a very similar bike from a CD175. 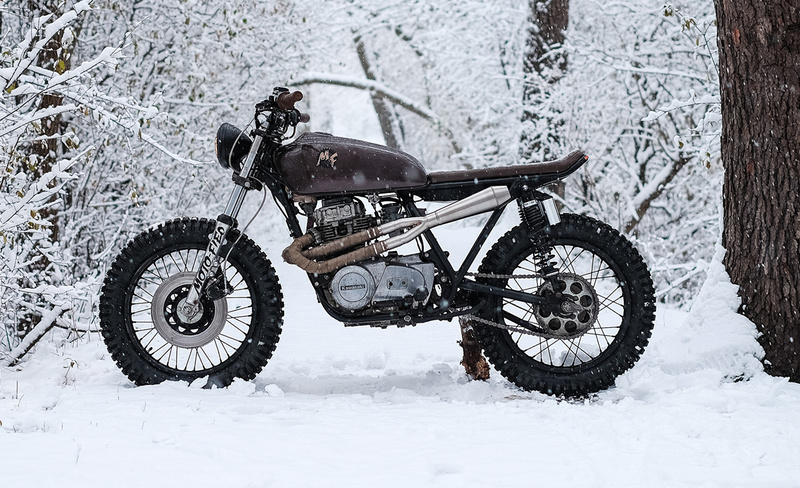 Interested how you sorted the rear brake and kick start with the rear sets. Something on mine I’m still not really happy with. Your bike is beautiful! How tall are you? 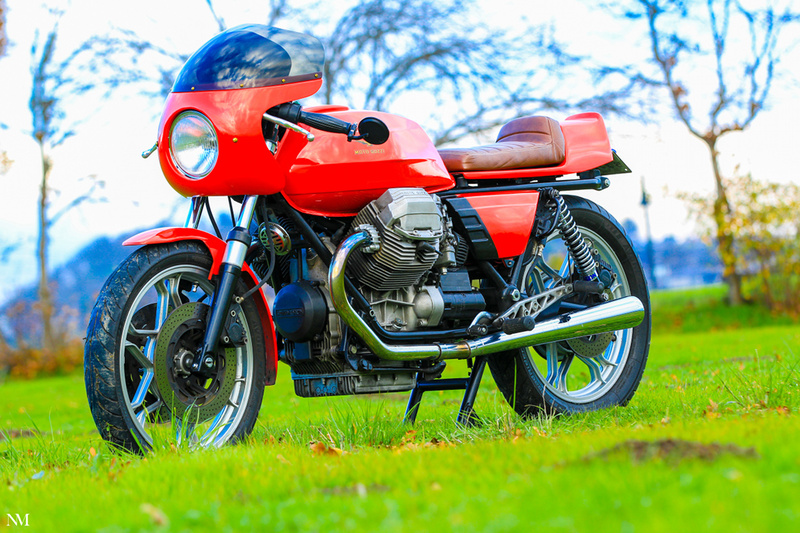 I’m looking at getting a CB175 but I’m 5′ 3″ with pretty short legs. Would it be possible for me to ride this?